Your business is your livelihood and maintaining its accessibility in the winter months can be a daunting task. 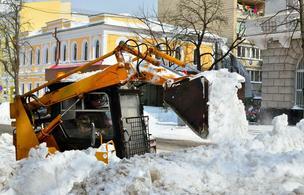 At Snow Removal Services Boston we specialize in commercial snow removal services. We’re Boston’s number one commercial snow removal company and have years of experiencing helping businesses, just like yours, combat the problems winter brings. From smaller retail spaces, to large commercial outfitters, our team of snow removal experts can have you forgetting about the headache of winter snow removal in no time at all. After all, there’s no business like snow business—and with our knowledge and expertise we can have you operating effectively all year round. ​Parking lots are one of the most important things conducive to your business. They offer customers a place to park while they enjoy your services, and ensure that your employees have a place to plug into while they’re at the office. Covered parking lots can deter patrons, and leave employees without a place to park leading to less time spent in the office. Whether you’re a retail establishment, doctor’s office or law practice, ensuring that your business runs smoothly is inherent to what you do. At Snow Removal Services Boston we’re here to help clear, load and even haul away your snow, so that your parking lot operates as efficiently as possible. ​Messy store fronts can deter shoppers from entering your location. Marching through drifts of snow can leave your customers with more than wet feet—it can leave them with a bad taste in their mouth. Ensure that your storefront maximizes its foot traffic by having Snow Removal Services Boston clear it for you. From sidewalks to walkways, we’ll ensure that your storefront is clear and hazard free. We specialize in commercial snow removal services so that your business can continue looking and feeling it’s best, even when the snow is falling fast. Don’t give your customers the wrong impression; make sure that your business is clear, open and ready for business this winter with Snow Removal Services Boston. ​While you may have a cozy headquarters, most of your business happens outside. Showing your customers that perfect vehicle can be difficult if you’re buried three feet deep in snow. At Snow Removal Services Boston we’ll make sure that we snow plow your lot, clear the snow and haul it away so that when your customers come to look for their next vehicle, the path is clear for you to make the sale. ​If you’re in the shipping and receiving business snow can really hamper your efforts. From transport trucks getting stuck in the snow, to dock workers slipping and falling, snow can pose huge problems for those in the industry. If you’re looking for a comprehensive snow removal package, Snow Removal Services Boston is here for you. From shoveling your bays to plowing your lot, we’ll keep winter at bay while you go on with business as usual.